Global Wellness !Global Wellness & Personal Growth… | Be part of an awakening international community focused on health and wellness. Welcome to my blog and information platform. First I would like to wish you an AMAZING and Happy 2017. As the new year arrived we are trying to dust our self off and move forward. It is easier sad then done many would say. For many New Year’s resolutions just don’t work and we are just deluding our self and setting for more disappointment. 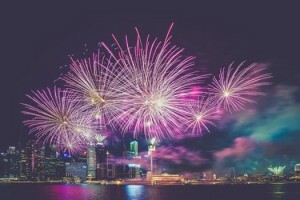 I shared in my podcast about and went deeper on the subject and how we can create one that will work for us : https://www.spreaker.com/user/wellnessmw/hello-world-22-creating-new-years-resolu . In case we want to do a deep transformational work we want to face all the aspects of our self and stop sugar coding and give our self a false hope that may work for a little bit but will crumble our foundation sooner or later. Willing to face the truth, honesty will bring back the integrity that we lost by not standing up for what is truth and allowing false to take a grip everywhere. 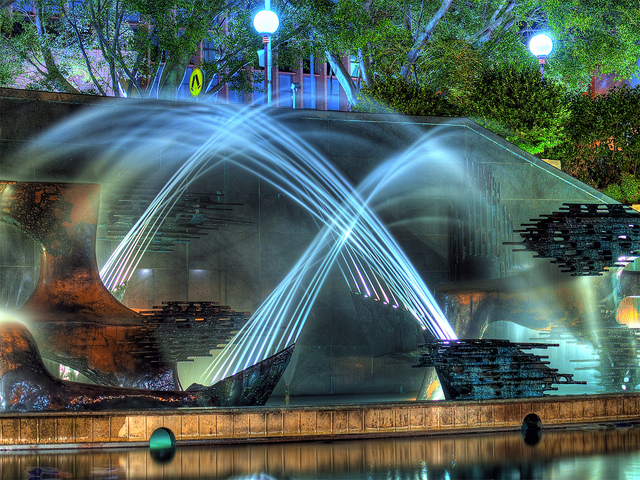 I share a shot link about my work and thank you for tuning in. Happy New Year and open to the possibilities! Hello World Podcast #..11 Technology and Humans, creating a healthy balance …Are we as Humans using too much technology and sabotaging our Humane’s. .or could we create healthy balance?? We as parents have a tough job in this age of technology…engaging our children to play and use creative aspect of imagination and as an adult take time out from technology and be human for change.. 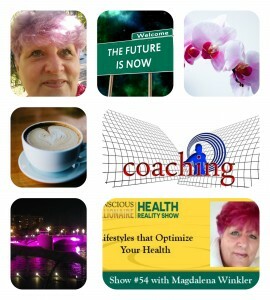 Listen to “Hello World..#11 Technology and Humans ..creating a healthy balance ..” on Spreaker. Help spread the word! International Podcast Day™ is dedicated to promoting Podcasting worldwide through education and public engagement. You may be asking, what can I do to help and what can I do to get involved on International Podcast Day? 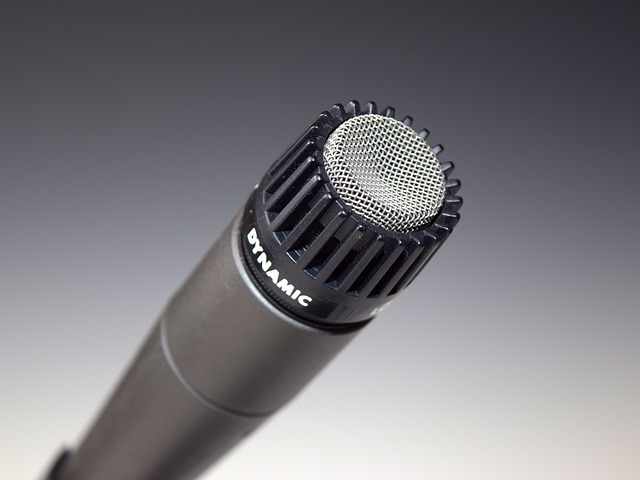 My podcasting “Hello World”, is about health, wellbeing, conscious living and consciously co-creating, transforming beliefs, patterns, and roadblocks that are outgrown and not serving us in constructive living with transformational coaching. Being an information highway to the Global community who is seeking. So how do you feel in general this day? Many would not know what is this question about. If you are sensitive or working with your own journey and follow the energy, what is going on daily you will know what I am talking about. We had recently 6 planets retrograde and this brought huge energy fluctuations. Being challenged on so many levels sometimes is hard to keep cool and everything under control. Even do keeping under control can mean so many things. I don’t talk about controlling the situation but to keep our self in focus and not sleep back into the glitch of the situation. To do that we have to practice over and over again til we can just stop and re-focus automatically, as it becomes our second nature. What if you can? By becoming aware of the beliefs, patterns, cycles you can stop the looping and rewrite your reality. But first, you have to find the firewall that is hidden in your thinking /program that is stopping you/cancels out this information of the possibility and many others. I found that Uranus in Aries is showing us enormous opportunities to create a new way of think and to free our mind from old programming since Uranus is a rebel and wants the breakthrough. So how can we go beyond the firewall of our mind??? Dive into something new even do is so frightening. 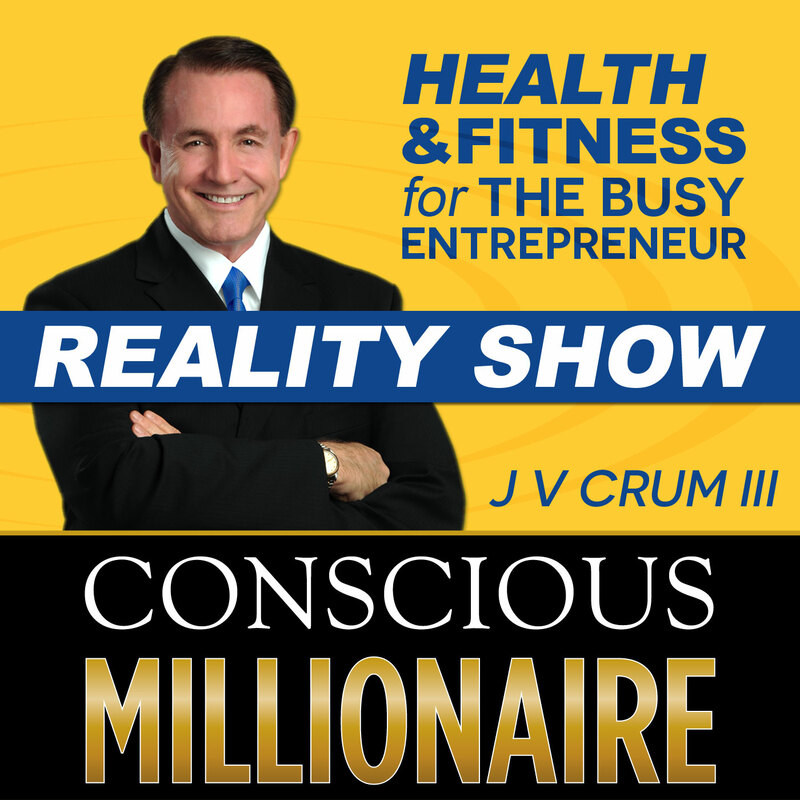 I’m excited to be a guest on J V Crum III’s Conscious Millionaire Health Podcast today. It’s a show designed to give you the information and support you need as a busy entrepreneur to create work-life balance and reach your health and fitness goals. As conscious entrepreneurs, we need to be at our optimum state in order to make our own lives to the fullest! It also includes video blogs, expert interviews, and a reality show that includes 30 Day Challenges! On May 2015, I attended Florida Podcaster Assoc. meeting and had an opportunity to meet JV Crum III. from Conscious Millionaires. I am always looking to find a guest for my radio show so the word Conscious very much ringed the bell. At the end of our meeting, I went to introduce myself to him and just wanted to say Hi since he was moving to Denver end of the month. In our short conversation, I asked him does he know Coach SteveToth, from CEM Network http://www.consciousevolutionmedia.com/?q=content/living-consciously-tv-show and he said NO… We worked out that I will connect him with Coach Steve. 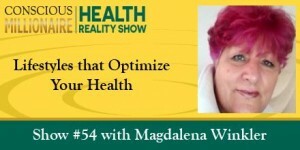 My big thanks for being a guest on the new Conscious Millionaire Health Reality Podcast. This is a revolutionary show and you are on the ground floor of it. The time is now. This week we are officially launching with three shows airing a week, every Monday, Wednesday and Friday. In addition, we are doing video blogs.To help audience listeners, I’m starting the first “30 Day Health & Fitness Challenge for Entrepreneurs” this week so that I can support other entrepreneurs in achieving their goals! (You are welcome to join in – just reply and let me know and I’ll help you get signed up). Listen to the show and then “Subscribe (very critical), Rate and Review”. We need the all three to get into New & Noteworthy. Click on this link to Listen then Subscribe, Rate & Review.Getting into New & Noteworthy lets podcast listeners know about the podcast. Thanks so much for your time and for being on the show!! I sincerely appreciate your help as we all launch this show. My goal is to touch millions of entrepreneur’s lives and make a positive difference in their health and fitness. With your help, we can! So I thought I would like to share this info with you. 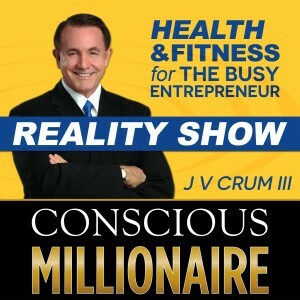 Thank you and enjoy the podcasting, share with others, together we can make the difference in the WORLD….I will be the guest on August 5th, on the new Conscious Millionaire Health Reality Podcast… Thank you JV Crum III for the invitation! Living in 21 Century and understanding our evolution is a quiet a challenge. Our personal lives , society, economy, everything is changing with a speed of light. People are losing jobs, conflict, chaos on all levels. So what is going on here and what are we dealing with? We will get as much different answer as many people we talk to and so we will have to find the best answer that is resonating with our own CORE. That means there is no just one answer and there is no right one either. From my own experience and as many people I spoke with and read about we are going trough big changes and one of them is a change of ERA where the old rules and beliefs are just no longer supporting the evolution of humanity. There is this intense idea to fix the economy , to fix the system, to fix people and as we can see nothing is working. It may work temporary and then it collapses after a short period of time jet people are afraid to recognize the truth that is just not gonna work and we just have to get real and recognize what is in front of us. We bin all called here and nobody is saved from the responsibly and action what we are facing . Some are even saying that if we do not truly wake up to what is really going on we may face the 6th human extinction. Jet the sad part of the story is that most of the humanity is even not aware how serious our world situation is. We are facing environmental disasters from intense wetter abnormalities, pollution in the air, water , our food is getting impacted with GMO and people are upset yet it seems as nobody cares. Can we still have a chance to turn around and start to make different choices that will include full responsibility for our actions ,care for others and for the planet? This will be not a one man action but a collective effort. First, we have to become aware of a collective humanity and recognize the challenges we are facing . We got ourself in this situation we can get our self out but we need to want to face the truth….is no way to hide any m,ore. Can we decide to choose different thoughts ,words, and actions that will support sustainable living, help restore our reality in and around as and create peace ,help prevent potential global catastrophe. For thousands of years humanity is dealing with suffering, wars, disasters and we been here at this pivotal point more then once but we had not experienced for long, long time as harmonious creation, we have a choice now but we have to have a change of heart and make a choice that will include others with respect, love and right intention…the 21 century is asking us to step up and we have to step up fast …no more thinking .. this is a time for action. If you are interested in conscious living tune in my bi-weekly radio show on BBS radio network “Conscious Thought with Leo” http://bbsradio.com/consciousthoughtwithleo and get connect with like-minded community. Great start for 2015! January 07.2015 I started my radio show on BBS and have great fun with it. It is a little challenging since English is my 5th language but this is not holding me back from not doing it. Having a Gemini moon communication is the king. Trough years I found interesting how people like to listen to somebody with accent. The world is getting smaller and smaller since we can travel quick around the world or reach somebody just by click off button. Being mulch cultural is fun and helps me also to reach more people and understand different cultures. It all started last September when I was approached by another radio station asking me to consider maybe become a host . They found my bio on the Linkedin, liked and contacted me. At the end it didn’t work our since it was to much money to invest for me. But what became intriguing to me that from so many people on ;Linkedin I got a cal. That changed everything. I would never thought I want to do a radio show but this experience put a seed in my heart. I was looking to reach and expand myself to next level so I could be available to a bigger audience and could share the opportunity for Transformational Life Coaching with people who would be interested in my work .This show became a opportunity and platform where I can blend the show and people can know me more and that opens the door for them and opportunity to work with me as a Life Coach. Interesting we never know how the universe may find ways to communicate with us .WE just have to be open and to listen and know when to act. I am excited to share with all of you information that is related to life, health , personal growth and advancement, conscious living. 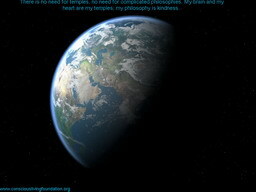 My passion is humanity and living on our planet earth. This is why I am also interested to bring guests that have experience in they own field that supports similar thinking. Excited to share my journey with and if you have any question or have a input feel free to contact me ….and tune in for the next show ! 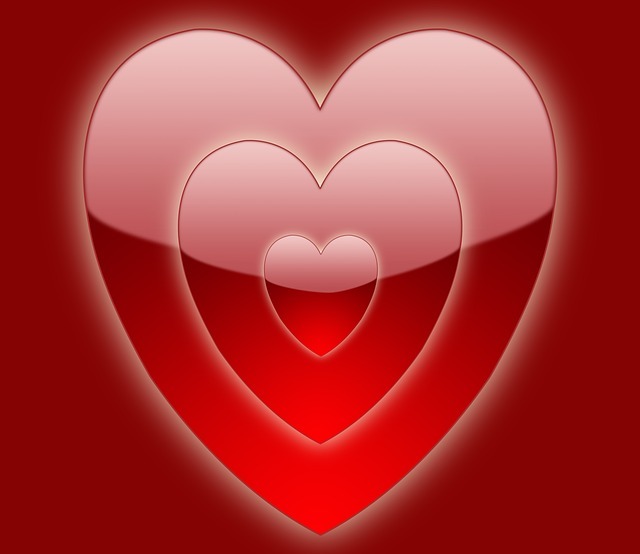 Life Coaching “Awaken Heart ” program is about getting in touch with our own true feelings , intuition and different way how we connect with life. Understand and know our self. Everybody knows by now that we are experiencing so many changes and difficulties and have a hard time to create a right course in our life. We can continue the old way , finding a new solution to the problem jet recognizing down the road it will lead us into dead end. Did you ever had that experience? Or we can stop and take a whole new approach and recognize that what we are doing is not working .There are infinite amount of programs out there that will tell you what to do, how to do it. How many did you try ?and still looking? I am not here to tell what is wrong and what is right , this is not about that. What we are here is to take a whole new look, create a whole new concept that will shift the paradigm we are in to a new level. Understanding misconception will help to see why we are doing what we are doing and find a simplifed way to life. Helping other to create they life with simple approach and in process know them self is a whole key to life. We bin down many pats and now we want to go for a new one never traveled before! I decided to do something new and use my blog as a chronicle. Instead to delete or create totally new blog or website I recognized the importance to see the changes. As we are going trough our own life’s we are dealing constantly with change and we can’t delete that part either. We are deluding our own self by pounding the idea if I just forget what happen to me everything will be OK. Did we somehow got disconnected from the history or the past? Didn’t that get as here where we are in the first place? No, not everything was perfect and we know that but there was so much wisdom and knowledge and here is the important part “how was that used and abused ” and today is not different. We are living in the age of technology and information era .We are bombarded with incredible amount of information and not every information is valid and this not gonna stop. By understanding our past we can see what went wrong and we can make a different choice. 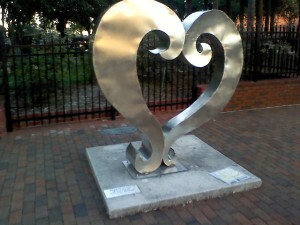 In the healing we work on integrating our shadow or part that we didn’t want to deal with or is to painful to revisit. If you wounder what is going on in the world today this is a perfect example. Everything what we do not want to deal with it will show up in the world as a mirror. Just take for instance economy. 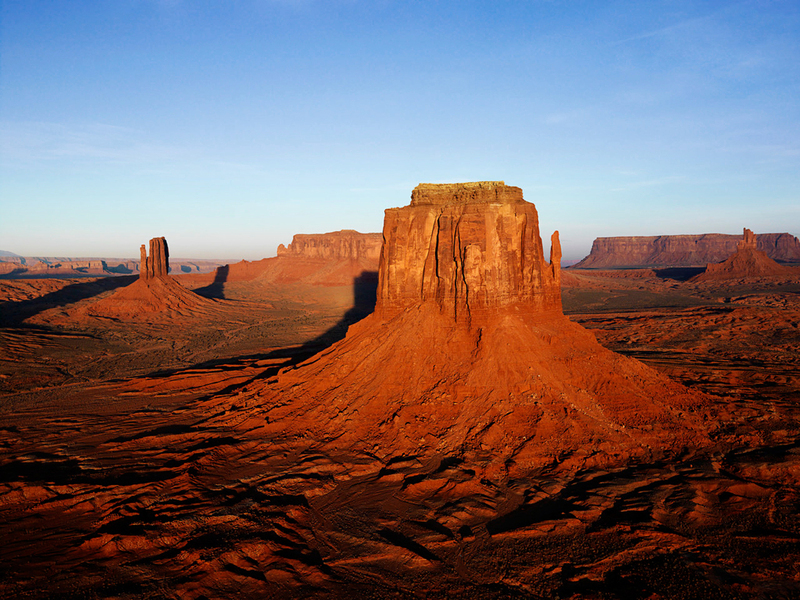 We are dealing with such a incredible turmoil and nobody wants to touch the shadow site. So can we solve it ? Yes! but we would need to go to the root of the problem. By ignoring the situation and just be positive by itself will do nothing because we are still holding in our energy field the emotional vibration of the trauma, habit or belief and every time we get triggered by a word or situation it will surface . I think now you can see how we are carrying with us unresolved conflicts and it can show up in every area of our life’s and it can be carried trough generations .That was my own personal awakening when I recognized that everything that stays unresolved will impact generations coming after me. That was the beginning to know myself. But this is not influencing me alone and we are in this global awakening together. We can pretend is not happening or we go with it. There is this internal feeling that something bigger is happening even do I can’t explain but I can’t denial it either. I call it a New Timeline . We have a chance to do it different. But we also have to have a whole new set of tools and we have to be grounded in our core. It takes work but we can do it. Every new birth is painful and so is our own New Timeline, exciting to awake to possibilities by waking up to our own self. I have been reflecting upon so many things recently, wrapping my mind around to understand and is not easy. We are living in this technological society where we are so distanced from each other and is becoming so mechanical. We are living so much from our intellectual side and our true nature is not alive, buried with so many responsibilities and stress. I remember when I was a kid the time was endless and people had much more time for each other. We had time to talk to each other and to listen to each other. 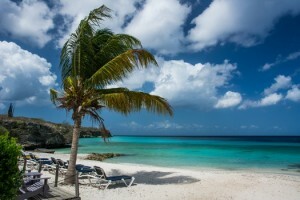 Today everything has to be managed, every second of our life has to be calculated. Are you surprised that our body is overwhelmed by all this pressure, I am not. This is the paste of our Industrial Era of living. So what is that mean, it means we have to learn how to live and adjust to this new living that brings stress, pollution to the different lifestyle we were used. So the word is: adjust, adjust, adjust….our thinking world, our emotional world, beliefs and everything ells what we thought that is real it may just have to go. I learned to live by what I thought this morning is the truth is not valid anymore by the evening ..this was hard because I had to give up so much I was holding on to. All the mental, emotional molecules are holding our thoughts, feelings from the past that are not resolved . When we start to work on a much deeper level we will make changes in our life’s and stop ancestral repetition. We will start to attract completely new energies around as and past will not have impact on as. We need not only our body cleansed from impurities http://internationalwellnessnet.com/30daybodytransformation/ but working with mental-emotional left over residue’s that are holding us back. Accepting only fraction of our self we leave a huge part out that is holding our ESSENCE that is still part of us that we are not willing to allow to come home or as they call it SHADOW because of guilt or shame . So we and the Industrial Era have something in common, we are both polluted and is time for clean up if we want to make as a HUMAN and be able to leave something for the next generations that are coming after us…. the cosmic energies are playing the concert and we have to dance to the tunes…to stay in sync. Do you feel it….the frequencies are rising and we have to keep our bodies clean to absorb the vibrations. Leave one out and our body’s will suffer.We have to work on all levels to feel the GAP and to be able to live more balanced and harmonious life. Red Ice Radio – Rupert Sheldrake – The Science Delusion. As the 2012 is coming to end I decided to track what I learned and share with others…so the 2012 and beyond is perfect tittle . First I want to give thanks to life that presented me with incredible opportunities and is part what is important to me in my life .What is important to me may not be important to others but is still amazing ..this is the reason what got me inspired to write this article .I love to be observer just to see what is happening in front of me and how is playing itself out. Reading articles, following social media, participating online seminars, webinar’s or life seminars, classes…just to be informed what is going on…Living in high speed instant gratification world you want to be informed and know what is going on…right? Yes … and yet is has its own down fall. You are spending so much time being involved, trying to figure out, then you feel exhausted and burned out almost no time for yourself! I think you can relate to all of this. Now the question do you need to do all of this or not?? Here is the paradox we are all dealing with and this is where you need to make a decision for your self. I can’t make a decision for you but this is how I do. To educate myself is very important to me, I want to know what is going on and be conscious so I invest in myself .Most people think they don’t want to spend money on them self, this is not spending money it is investing in myself and that is a huge difference. WHY??? Being aware what is going on I can make my own decision and not be pulled into the collective. Most of the time the collective is just copying the TREND and selling without having the true meaning behind. Did you ever tried to check out somebody who may claim that they are experts and find out you know as much as they, you may just lack tools how to get you on first place on Google. What I recognized with all the 2012 and beyond ..that many didn’t understand the true meaning and bin expecting all the doomsday happening on the physical plane,yet most of it is happening on the energetic plane where we don’t see it….almost like the computer. Has to get upgraded to function propriety to deliver the right information so we can act upon. Many people still function on old windows and expecting new results…the computer is not broken just need a upgrade.So don’t get cut in all the rarara’s which is equal to all the apps but not moving you to new heights,those are just giving you more of the same. Find all those apps in yourself, dance to your own tunes ,bring out the UNIQUE YOU….you can go horizontal or you can go vertical…it is up to you. Many are asking me what is Intuitive Astrology, it is main own experience understanding the energetic vibrations that I broth when I was born and shows me the energetic patterns that I will face to get me vertical. There are no good or bad energies only bad aplications. It is just a toll like anything ells,I use it only to see the patterns not as prediction since I believe in free will of the individual. Anything I do I work with you not for you ….!!! From:organicconnectmag.com; Education and information is the key .It is sad that we are living in the 21 century, have so much knowledge and great technology, we could use for greater good for all of us without harm to humanity and nature.This is a great article about GMO . Andrew Kimbrell: The GMO Reality Check – Organic Connections. One of the Special Guests from 3 days WorldWideImpact Live event Dec.03-05 2012 in Tampa.I was fortunate to listen and speak with him in person… simple formula…yet so mind bending !. . Be Legendary with Special Guest Doctor Ron Eccles 12/05 by Be Legendary | Blog Talk Radio. Be part of health and wellness community in Central Florida…directory,join for FREE Happenings Now – Orlando Alternative Health and Lifestyle Guide Directory. The East coast of the country is just recovering from storm Sandy that left devastating aftermath. As all this is happening I bin reflecting in my mind and my heart what has bin going on in the last 3-4 weeks.Have to say it is overwhelming, frustrating jet very humbling. In the last decade we as global community,have bin experiencing more and more chaos and people are confused not knowing what to do about and how to handle it. When we are constantly exposed to change and traumas this can have a huge impact on physical body,mental-emotional state and can brake down the internal foundation. Instead to work on the original cause people are getting medicated and the true issue is being bypassed. In the last 20 years there is a raise in alternative medicine and healing.Something that has bin practiced in ancient times but forgotten or gave rise to something new which is our medicine today .There bin conflicts along the way yet still missing the true understanding.What is missing is the realization that both modalities are important .We as human beings are advancing and learning more about our self ,the consciousness and awareness is expanding rapidly and in many cases the old models of medicine are just not supporting the growth.The traditional medicine is approaching only the physical body and the rest is not included which leaves 3/4 what makes as as a whole being or let say what we know today. The alternative approach is more inclusive and it sees the individual as a living energy that has consciousness and thinks for itself and is not just helpless victim. We are seeing shift where more people are interested in personal growth and development ,using alternative therapies and taking more responsibilities for them self.This shift in structure is reflected in the outside world and shows up in form of chaos .This is where the panic begins and people feel they are loosing security and foundation underneath they feet. What can be done to bridge this state or situation? First recognize that we are in times of rapid change and now you can move with it or you can stay stuck with it. Be willing to learn,be willing to adapt,be willing to invest in yourself,seek out people who bin already trough changes and they can help you to speed up the process. But the biggest realization is, we are here to involve as species, almost forced to grow up, take responsibility,natural disasters experiencing all around the GLOBE are just a remainder.Time to learn and know our self time, to be our self !!! How cool is that , so there is light at the end of tunnel but there is work to do.Time to whip of old stuff and have a clean slate and start over.Time to check you old belief, what you thought being truth, how do you see reality,you may have to give up all of it. It is OK because is not working anyway.